THERE are two things I always do as the seasons tick by. 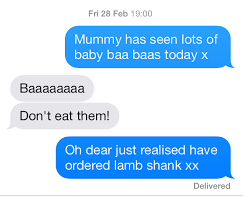 One is to proffer a “pinch and a punch, first of the month”, to my pal Jamie; the second is to text my daughter whenI see my first lambs in a field. The latter went like this. My point is, I love this time of year. I love pinot noir with my Sunday lunch. (Lamb. Sorry.) I love sipping my first glass of the year in a sun-bright garden as the birds sing. And lo! It stopped raining and all came to pass. Sharing my seasonal joy was a quartet of New Zealand wines. Now, metaphorically, I’ll share them with you. Nautilus Estate Chardonnay 2012 (£14.95 Wine Direct, Hailsham Cellars, Edgmond Wines). This wine won the Champion Wine of the Show at the New Zealand International Wine Show. Judges said it was “exciting and fresh”. This was my garden wine. It has subtle smokiness on the nose, together with honeyed nectarine andpeach. To taste, fresh fruits with a vein of minerality. It’s a take-another-sip-before-you-put-the-glass-down kind of more-ish wine.